Annithaa Pandiapp and Dr.Shamsul Kamariah (5th and 6th left) together with founding IMMSC committee members in a photo. MIRI: Members of the public are invited to join staff, students and alumni of Curtin University Malaysia (Curtin Malaysia) to witness the launch of the Institute of Marketing Malaysia Student Charter (IMMSC) of Curtin Malaysia this Friday, September 7 ,2018. It will be held in the university’s auditorium from 2 pm to 5 pm. 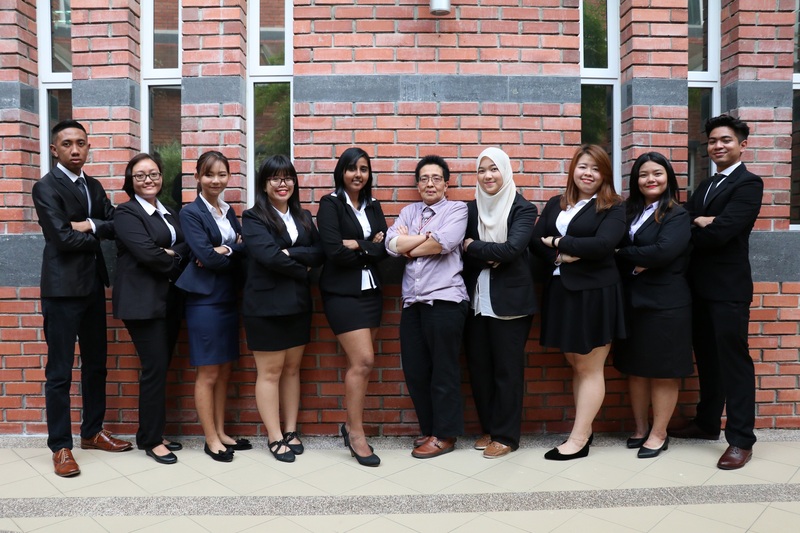 The IMMSC of Curtin Malaysia, established in January 2018, is the Institute of Marketing Management’s (IMM) very first student charter dedicated to providing students of all disciplines a platform to enhance their marketing knowledge and skills through talks and workshops featuring key industrial and education facilitators and other marketing-related activities. The launch will be officiated by former minister of trade and industry and former patron of the IMM, Tan Sri Rafidah Aziz. IMM President Dato’ Sharifah Mohd Ismail, former Sarawak deputy chief minister and Curtin Malaysia Pro-Chancellor Datuk Patinggi Tan Sri Dr George Chan Hong Nam, and Curtin Malaysia Pro Vice-Chancellor, President and Chief Executive Professor Jim Mienczakowski and Acting Dean of its Faculty of Business Associate Professor Pauline Ho will also be present, in addition to IMM Council members and management staff of the university. The IMM is the only registered Institute in the country serving the marketing fraternity in Malaysia. It was founded in 1977 by TengkuRazaleighHamzah who also became its first patron. Members of IMM are affiliated to the Asia Pacific Marketing Federation (APMF) as well as the World Marketing Association (WMA). Those attending are also invited to attend a free public talk by Tan Sri Rafidah in the same venue immediately after the launch. Tan Sri Rafidah obtained her BA in Economics and Masters in Economics from the University of Malaya. She taught at its Faculty of Economics from 1966 to 1976 until she began her career in national politics. She was appointed as a senator in 1974 and subsequently served as a member of parliament for 35 years from 1978 to 2013. She was Malaysia’s longest serving Minister of International Trade and Industry for 21 years from 1987 to 2008, and prior to that, was Deputy Finance Minister from 1976 to 1980 and Minister of Public Enterprises from 1980 to 1987. She is currently the chairman of Air Asia X. A much sought-after public speaker, she is regarded as an authority on trade and industry and her expertise, visionary outlook and confidence have been a source of inspiration to many marketing professionals and entrepreneurs in Malaysia. The establishment of the Institute of Marketing Malaysia Student Charter (IMMSC) of Curtin Malaysia was an initiative of a group of marketing students led by founding president and Marketing and Management graduate AnnithaaPandiapp, who is now a business development executive with IMM. With the support of IMM President Dato’ Sharifah Ismail and their club advisor, senior lecturer Dr.Shamsul Kamariah Abdullah, the IMMSC has organised talks and workshops featuring industry speakers and trainers who have imparted relevant knowledge, shared experiences, and conducted practical activities to help members expand their understanding of marketing. The IMMSC also works towards building lasting and meaningful relationships with partner organisations, organises industry visits to give members insights into the marketing profession, especially the real-world application of marketing concepts learned and career opportunities available to graduates. Dr Shamsul Kamariah said the establishment of the student charter fully aligns with Curtin University’s strategic objective to offer a distinctive student experience that focuses on leadership, industry linkages and global citizenship. It also exposes students to new marketing thinking and strategies, which will be very beneficial in the digital economy and Industry 4.0 landscape. IMMSC Curtin Malaysia launch this coming Friday 0 out of 5 based on 0 ratings. 0 user reviews.